With the clocks going forward last weekend, my journeys to and from work are now almost tolerable again. With the lighter evenings, I can see spring wildlife and fresh growth emerging alongside the railway embankments; a sight I sorely need, as travelling into the big smoke is getting more and more of a chore. However, as someone who tries to take a positive spin on things, I recently put this glorious sight to good use. Earlier this year, BBC local radio and the RHS joined forces to launch a garden competition to design a ‘feel good’ front garden. 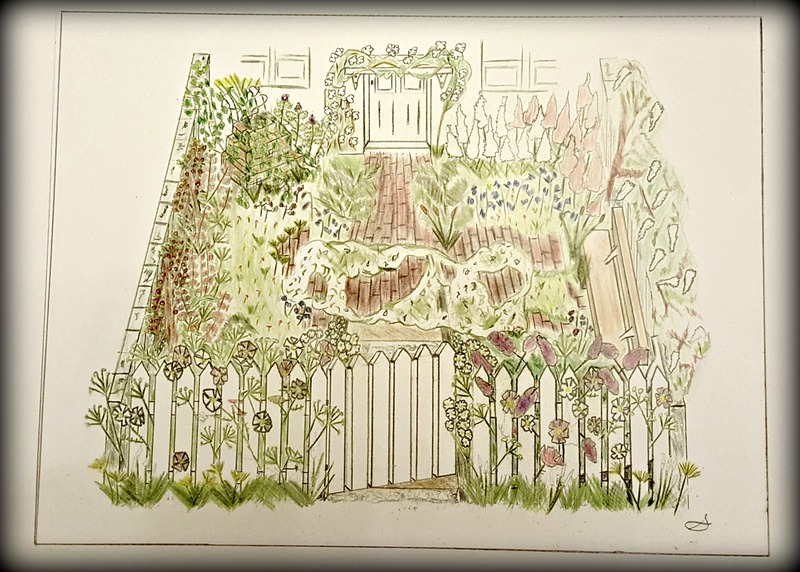 Four designs would be chosen, with the winning designers given the opportunity to create their garden for this year’s RHS Hampton Court Palace Flower Show. This was a fantastic opportunity I couldn’t pass up on. 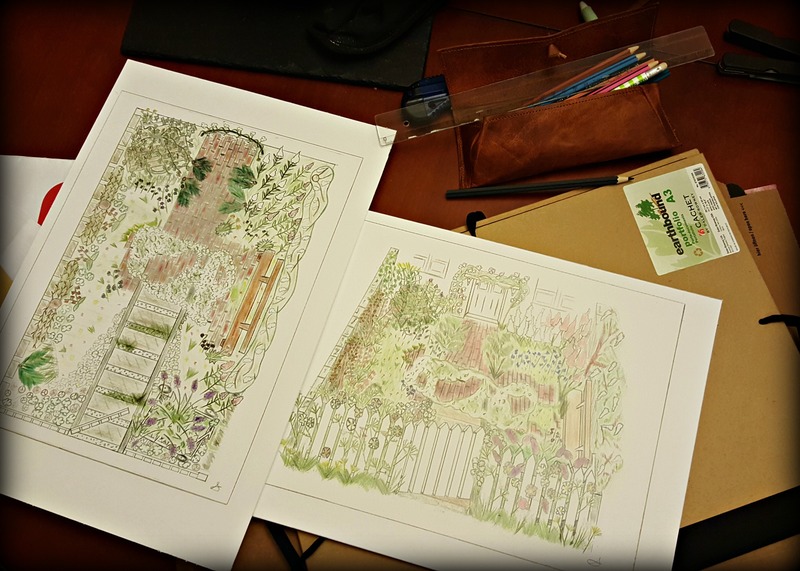 After all, I have a genuine dream of designing a garden for a prodigious flower show; it was like the gardening gods were trying to tell me something! We live in an old railway worker’s cottage, from which I commute everyday into London. The railway has been central to the life of my village since 1837. But aside from its practical purpose, it’s also an alleyway for nature, with wildlife thriving along the track from the countryside to the heart of the city. Although initially the railway construction had a devastating effect on the countryside, it was short-lived. Nature always finds a way to reclaim its territory. Today’s railway line is living proof of this, with the Buddleja growing between the tracks to the Russian Vine tumbling over the fences. When commuting, I often catch fellow passengers looking for a moment’s escape as they stare idly out of the window. Distracted by something blooming on the embankment, I see their face soften for a moment. There’s something uplifting about seeing wild flowers thrive in a harsh urban environment, and these types of plants can be easily incorporated into a garden design. They’re inexpensive, relatively low maintenance, and beloved by wildlife. Combining these plants with authentic railway features (tracks, sleepers, luggage trolley), I wanted to create a railway-inspired garden. My plant list incorporated the wild plants that grow along railway lines/embankments as well as traditional cottage gardens. These plants benefit wildlife, such as bees and butterflies. Fruit trees are often growing on embankments; I incorporated two varieties native to my area. As espaliers, they have a linear look, which I thought would work with the vertically spaced sleepers. The plants (full list here) have a gentle palette, to encourage calm and relaxation. This would be a place to stop (like a train) and think. Not only would a visitor lose themselves in the colour and design of the garden, but also in the sounds, from the buzzing bees and other insects. My list incorporates plants seen in late spring/early summer. Entering the garden, the pathway replicates a railway line. Sleepers have faded to an almost washed out grey. The tracks (decayed and rusted) are embedded into the ground, reaching the White Clover, they’re totally submerged. The path brickwork (aged and worn) represents bricked railway terraced houses, built in our area from 1880s onwards. There’s a slight incline on either side of the path, levelling out towards both the bench and apple trees, to represent railway embankments. All furniture used is Victorian, pointing to the construction era of the railway line. I have incorporated a wooden railway porters luggage trolley upon which some battered Victorian luggage spills out trailing ivy. A wooden bench is positioned parallel to the path, representing a platform, with broken brickwork reaching out to it. The front of of the garden displays a broken iron railway trolley. On an angled slant, the front left wheel is embedded into the ground. It doesn’t have decking, allowing Buddejla to grow up through it. Either side of the garden at varying heights are railway sleepers, vertically planted, worn to an almost grey colour. A gap between each sleeper allows light through, representing the juxtaposition of light and darkness as a speeding train passing through tunnel. Along the front garden is a white picket fence. Often used at Victorian railways, it’s also popular in cottage gardens. Trains are evocative of time, arrivals and departures. However, speed has no place in this garden except for the slow journey of nature reclaiming the land over time. With that in mind, I titled my design ‘Passing Through’. To be honest, Agent Soph came up with the title. She discovered it in Thomas Hardy’s poem, ‘On the Departure Platform‘. And like my Dad always told me growing up, ‘So long as you try your best, that’s the important thing’.. Good old Dad! In the meantime, good luck to the winners and I look forward to seeing your gardens at Hampton Court later this year. Ah thanks for sharing this gorgeous design and how very disappointing not to have got it to the final build. 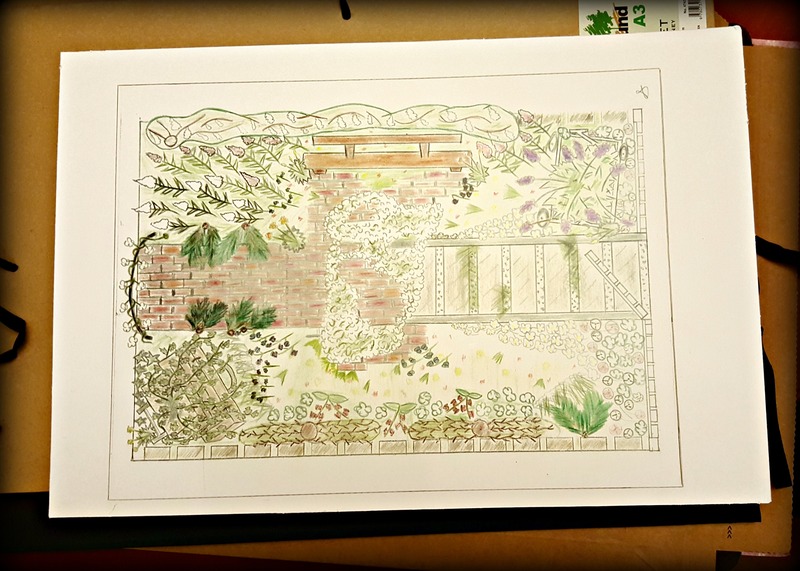 I love your themes and the planting plan and it’s beautifully drawn which helps to imagine it built. Yes life is full of disappointments and one just has to try again.and of course to count blessings. Absolutely, I couldn’t agree more. And thank you for your kind compliments. Onwards & upwards!